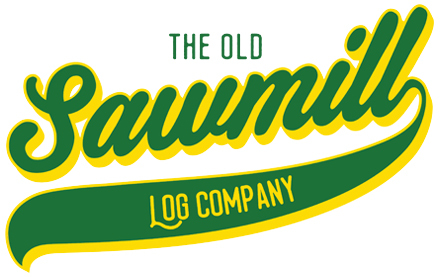 The Old Sawmill Log Co is part of our parent business Urban Forestry (Bury St Edmunds) Ltd. The name of the business comes from the postal address at our yard in Ingham, near Bury St Edmunds, Suffolk. Our intention is to supply people with great firewood in the Bury St Edmunds and West Suffolk area, from wood that is recycled from our tree surgery business, or from locally managed woodlands. We want to keep the miles that the logs travel to a minimum, and to provide a friendly, reliable service. In the last 25 years, there has been a huge increase in new tree diseases which are adversely affecting the UK’s tree stock (e.g. Ash Die Back, Acute Oak Decline, Horse Chestnut leaf minor etc). It is thought that this may be as a result of climate change and a rapid increase in global trade, and therefore by keeping our firewood sales local, we are trying to do our bit by helping to minimise their spread. We still plant a lot of trees, and we’re proud that we can genuinely say that we plant more trees than we fell, making our firewood a truly sustainable product.